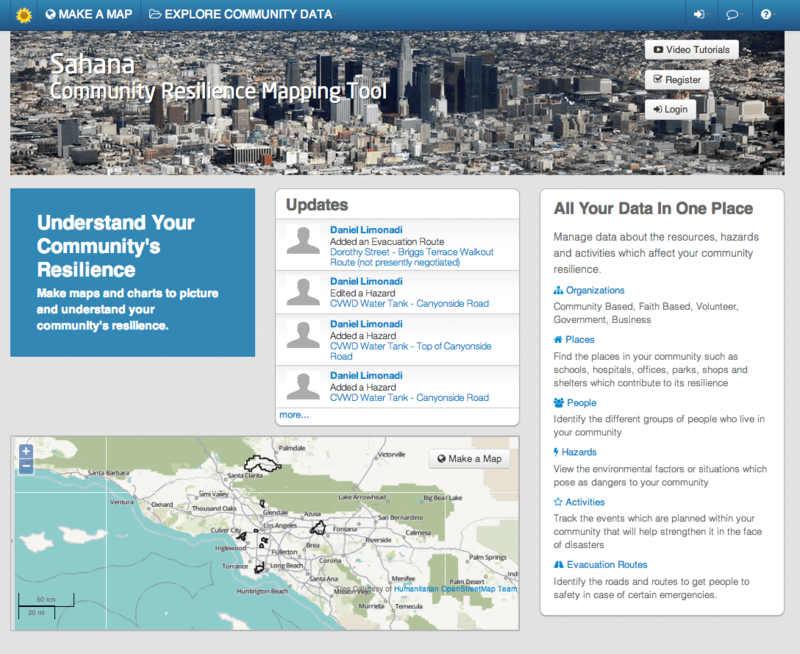 The Sahana Community Resilience Mapping Tool is part of a broad initiative on the part of the Los Angeles County Department of Public Health to build community resilience for disaster and pandemic preparedness. The Sahana Software Foundation’s project targets eight community coalitions composed of public health workers and community-based non-profit organizations and provides them with a system for better understanding the hazards and risks in their communities. 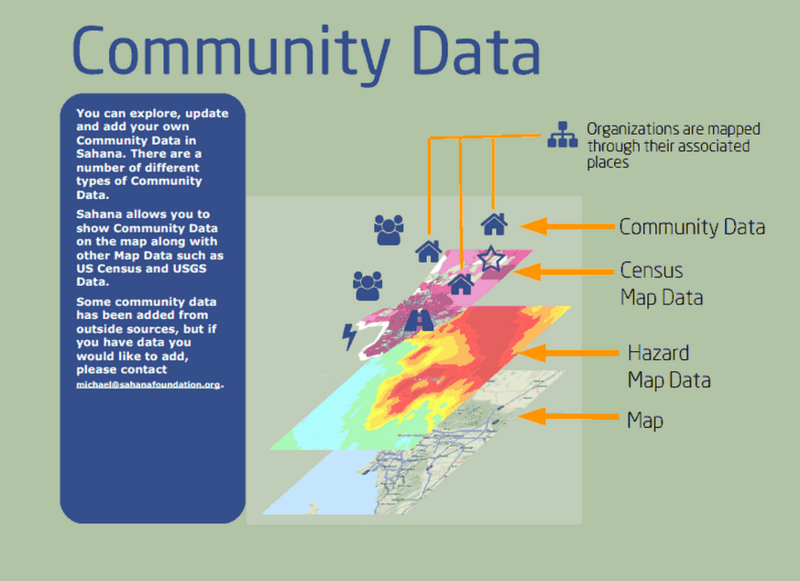 The Sahana Community Resilience Mapping Tool provides coalition members with the opportunity to create maps of their neighborhoods that can be overlaid with both census or historical hazard data, as well as important community data such as the location of churches, schools and health facilities. Sahana’s interactive map allows them to explore different types of data, and to show and compare information about the people, hazards and places located within their communities. They can chart their progress in growing their coalition (bringing in new members), map vulnerable groups and hazards, manage their trainings, and track important outreach and other community events that help build resilience. The system is unique in its bringing together 2010 Census Data, 2011 American Community Survey data, USGS and California Geological Survey Hazards data, FEMA flood zone data, along with over 70,000 points of interest within LA County (such as schools, churches, health facilities, government offices, municipal services, social services agencies, arts and recreation facilities) from a Los Angeles County database.